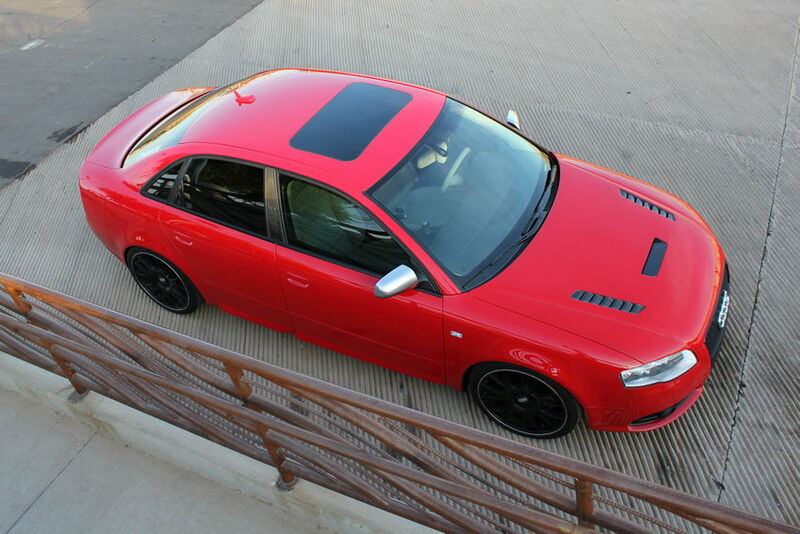 The hood offers great looks, OEM-like fitment, and the vents can be drilled/cut-out to be functional. 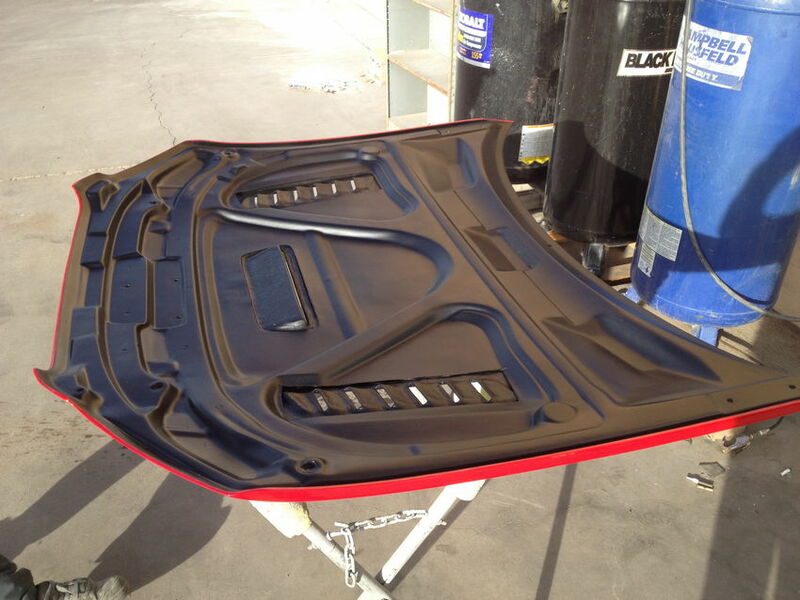 When you order the hood, you can choose either fiberglass or carbon fiber. The carbon fiber doesn’t offer a ton of weight savings over fiberglass (which is also very light), but I thought it was well worth the extra price for the carbon fiber version to match my other carbon accents (like my interior trim and B & C pillars). 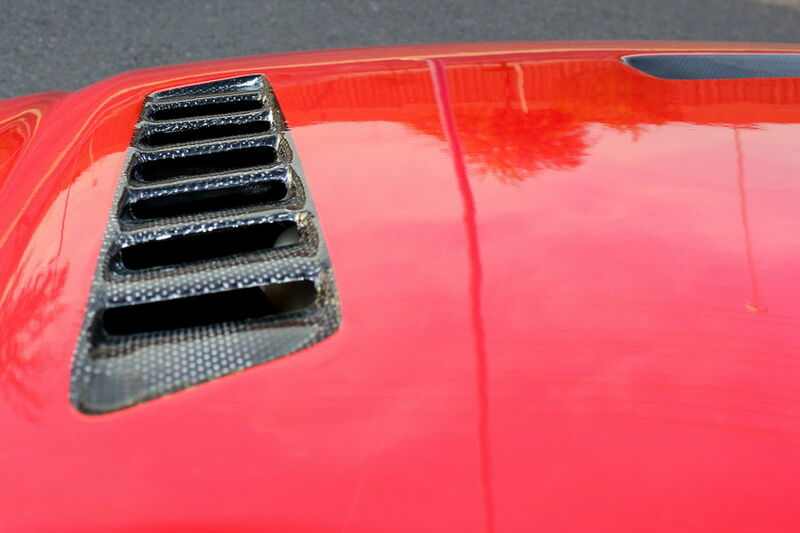 The hood comes from Aerofunction without the vents cut-out so that if you do not wish to have them functional you don’t have to (some people worry that water may get into the engine bay). I indeed wanted the vents cutout, but luckily I have a great body shop, Phoenix Collision & Custom Paint, to help me with that. My hood came within a few days of me placing the order and I had it shipped directly to my body shop so they could paint it. The only other modification we made was to remove the factory hood strut, as I worry it is too strong and may crack the hood. It is pretty common advice to do this on carbon fiber hoods as the OEM hood struts are intended to raise something that weighs 5x as much and therefore may be exerting too much force for such a lightweight object. 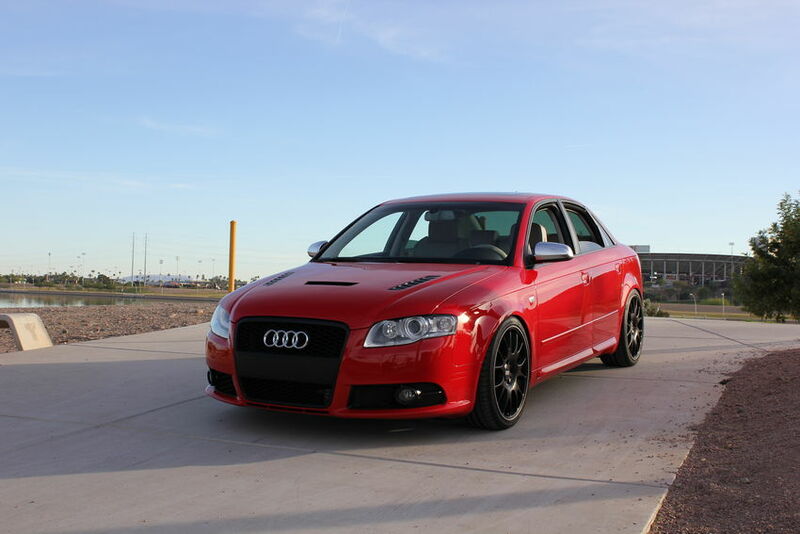 To replace it, you can either buy an RS4 hood strut (the RS4 has an aluminum hood so the strut is softer) or buy an aftermarket hood prop like this one I ordered on Amazon. While I’m waiting for the hood prop to come in, I’ve found that a Swiffer broom/stick does a pretty good job as a temporary measure. I have quite a few more pictures that I’ve taken, and I’ve got to say I’m very pleased with the hood from every angle. It did exactly what I wanted it to from an aesthetic standpoint – wake it up, give it a little contrast, and make it appear more aggressive without being too over the top – and the functional benefits of it are great too. I’d definitely recommend both the hood and Aerofunction if you’re in the market! Great looking hood! any pics from under the hood? FYI – your Flickr button/link under the “Follow Me” section of your page is a dead link. Thanks, I’ll fix that now! I appreciate it! What did you inject in between the two layers? Something automotive specific or something like Greatstuff minimal expanding foam? Debating between this and euroGEAR CF hood, what would you say be the major differences between the two nick? Great question – I’ve had both, so I feel pretty well equipped to answer. 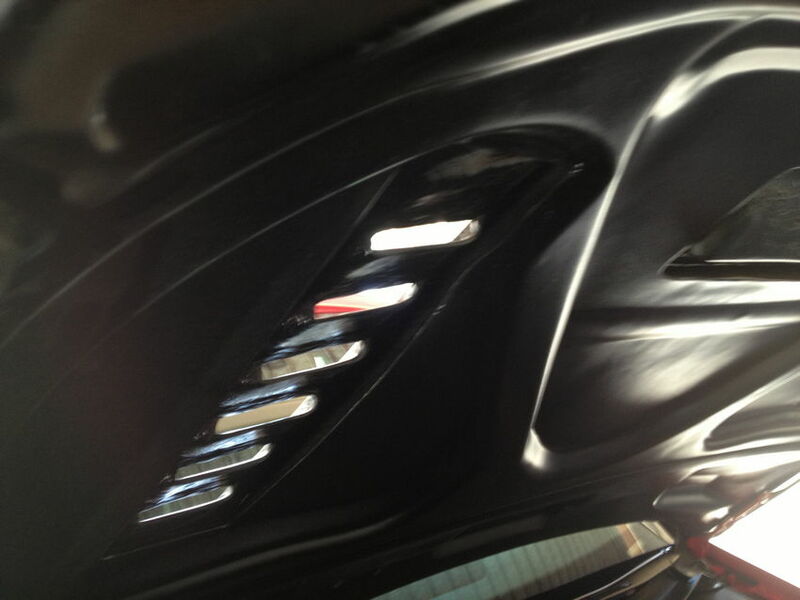 Obviously the biggest difference is that one has vents, the other doesn’t. 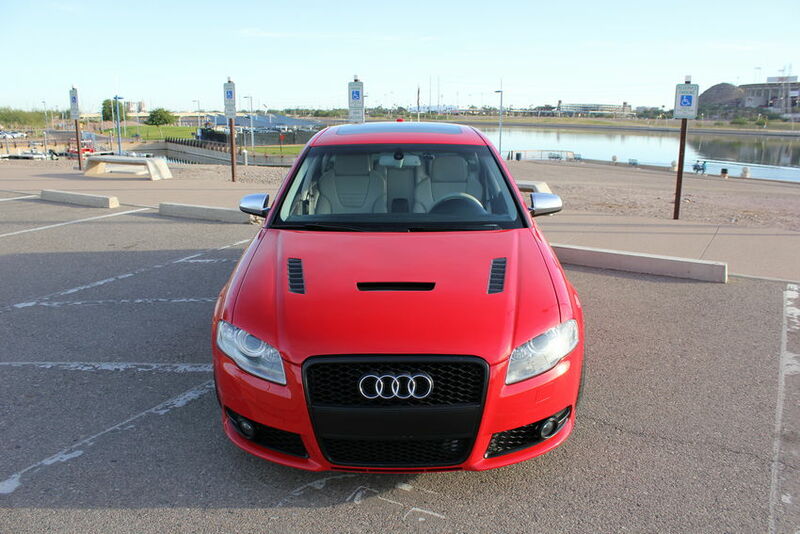 When I had the Eurogear hood, it lifted at high speeds and definitely needed hoodpins. IMO it felt flimsy – it was didn’t have much reinforcement along the underside of the hood, so the air getting underneath the hood was lifting it quite a bit. The Eurogear is also a bit lighter, which I think is also due to less reinforcement under the hood. Price wise, the hoods are about the same. The Aerofunction hood will take more work to get fitted as you need to cut out the vents, so you’ll probably end up spending more on this hood. Both hoods fit pretty well I thought. I’m very happy with the Aerofunction hood in the end, as I love the look & functional benefits of the vents. The Eurogear hood I was never very pleased with, and then I had an accident in my A4 and decided to just go back to a stock hood after it was destroyed. 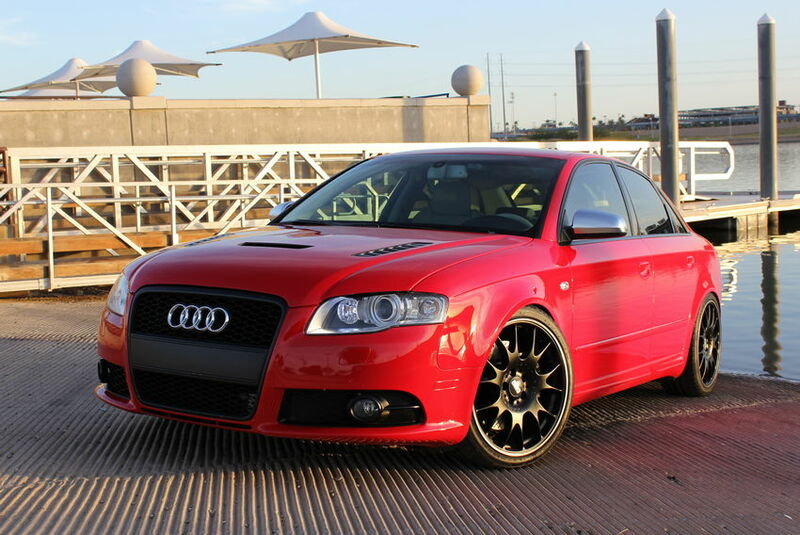 hey nick I been following your blog for a wile now and I am a fan I just recently got an audi s4 b7 dolphin grey to be exact, I have the same type of rims you have and I am curious what size of tires are you using in yours since I like the way it looks if you could send me an email I would appreciate it. thanks a lot. I’m running 235/35/19 tires on my 19×8.5 ET35 BBS wheels. Thanks for the kind words! Hi Nick, I’m considering ordering the same hood. The body shop told me carbon fiber hoods have the characteristic of being wavy. It seems from your close up shot that this is the case. Is it just a shadow or was that a true statement by the body shop? Hi Fernando – yeah, I think the close up shot is a fair representation – I wouldn’t say it’s super wavy by any means, but it won’t be nearly as straight/flawless as steel or aluminum will be. It’s really only noticeable when you’re polishing or really looking for it. Hi Tony – I don’t have any pictures, but yes the carbon fiber weave is uniform throughout and matches what you can see on my hood in the vents, so you should be able to get a pretty good idea from that. The weave matches the interior pretty well, I think the interior is maybe a slightly smaller weave but not too far off. 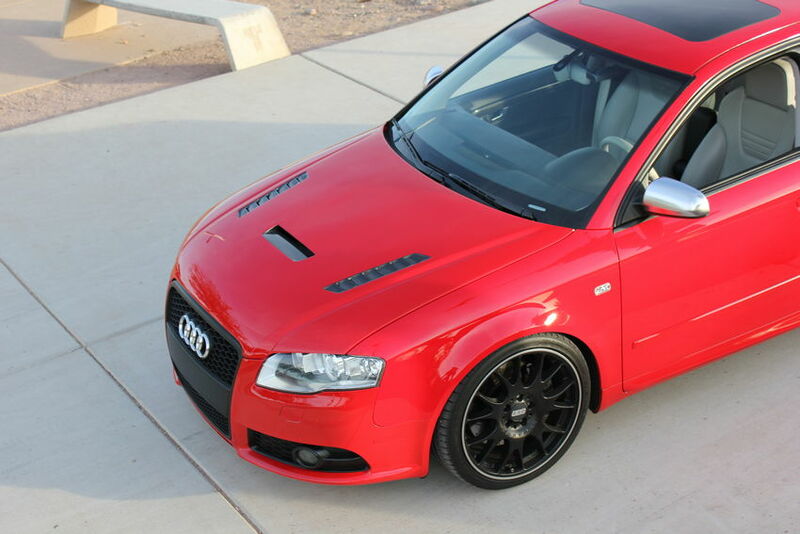 I think it will work well, although I really like having the hood painted minus the vents so it’s more subtle. I would like to ask,do you checked with this hood,the motor got more air? Did you see any difference between the motor oil temperature? How it was everything when rained? Because i cannot see any installation for rain,it does gone inside to motor when rained? Hey Nick, in this article you mention “To replace it, you can either buy an RS4 hood strut (the RS4 has an aluminum hood so the strut is softer)”.